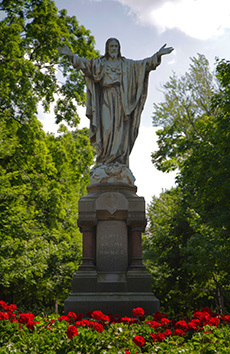 The preeminent model of one who finds hope in the Cross of Christ is the patroness of Holy Cross, Our Lady of Sorrows. The Blessed Virgin Mary bore great, hidden sorrow, but trusted without fail in the Providence of God. At no other point in her life was her pain and her hope deeper than at the foot of the Cross of her Son. This is where the Congregation identifies itself in the life of Christ: with Mary, at the foot of the Cross. It is through the eyes of Mary that we can learn to see the Cross not as an obstacle to hope, but as the deepest source of our hope. The Congregation of Holy Cross is blessed with other patrons as well. Blessed Basil Moreau modeled his religious family of Holy Cross on the Holy Family of Jesus, Mary, and Joseph. His desire was for the Holy Cross priests, brothers, and sisters to be a family, rooted in the virtues found in the home at Nazareth, including humility, obedience, and chastity. 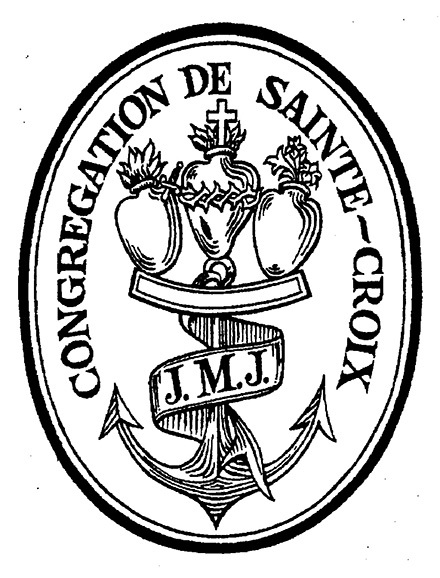 Father Moreau consecrated the priests to the Sacred Heart of Jesus, the brothers to Saint Joseph, and the sisters to the Immaculate Heart of Mary. He placed the entire Holy Cross family under the patronage of Our Lady of Sorrows, whose Feast Day we celebrate on September 15. As Holy Cross priests, we find our model of priestly charity in the Sacred Heart of Jesus, that heart pierced on the cross by the centurion’s lance. In imitation of Him, we, too, seek to offer all in laying down our lives in service of the People of God. Through the administration of the Sacraments, the blood and water that flowed from the pierced Heart of Christ continue to give life to the world. As Holy Cross brothers, we go to Saint Joseph as the model of a life humbly lived for God and for others in poverty, chastity, and obedience. In living out his vocation as the husband of Mary and the foster-father of Jesus, Saint Joseph remained unwavering in his loyalty, faithful to his mission, and open to the will of God. Following his example, we seek to offer our lives to God and to others with that same loyalty, faithfulness, and generosity. 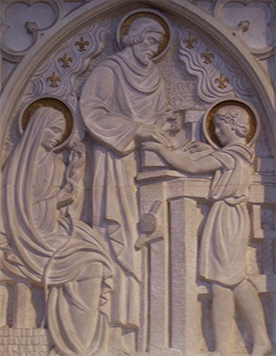 The title of Mary as Our Lady of Sorrows finds its origin in the Presentation of the Lord in the Temple, during which the prophet Simeon declares to Mary: “And you yourself a sword will pierce” (Luke 2:35). According to Tradition, Mary suffered seven sorrows in her life, beginning with the very prophecy of Simeon. The other six sorrows are the flight into Egypt, the loss of the child Jesus in the Temple, the encounter with Jesus carrying His Cross, the crucifixion, the reception of Jesus’ body from the Cross, and the burial of Jesus in the tomb. 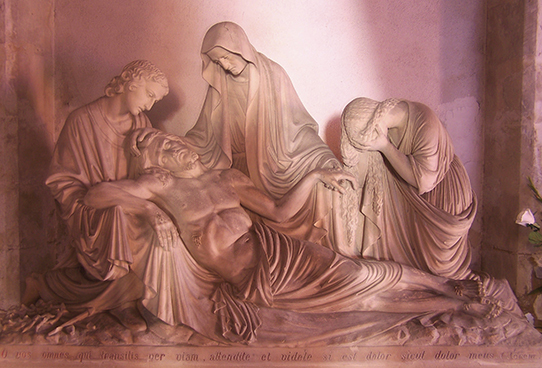 “There stood by the cross of Jesus his mother Mary, who knew grief and was a Lady of Sorrows. She is our special patroness, a woman who bore much she could not understand and who stood fast. To her many sons and daughters, whose devotions ought to bring them often to Her side, she tells much of this daily cross and its daily hope” (Constitutions, 8:120). We look to Our Lady of Sorrows as the one who can instruct us and strengthen us in the core of our spirituality and our mission as Holy Cross religious: to proclaim the cross of Christ as our only hope – “Ave Crux, Spes Unica”!